This is our Small Fox / Raccoon / Skunk Nose. Like most of our pieces, this prosthetic appliance was made to fit most faces. 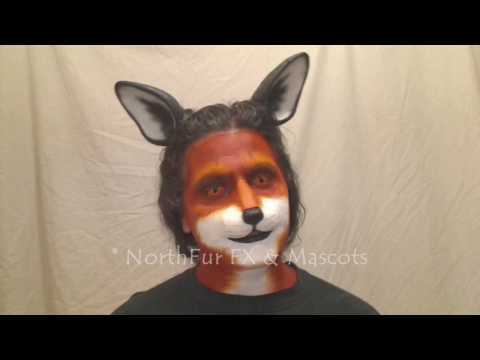 The main picture is the hot foam latex version applied and painted as a fox. This nose has a slender shape, coming to a point with a small nose on the tip. It can be finished as any number of animals with a pointy nose like foxes, raccoons and skunks, but it can also be used for hedgehogs, possums, and many other animals with pointier noses or muzzles. It is one piece and comes unpainted by default. Teeth, contact lenses, ears and other prosthetic pieces other than the Small Fox / Raccoon / Skunk Nose that are shown are not included. Using these types of costume accessories can help build up the needed character or animal.